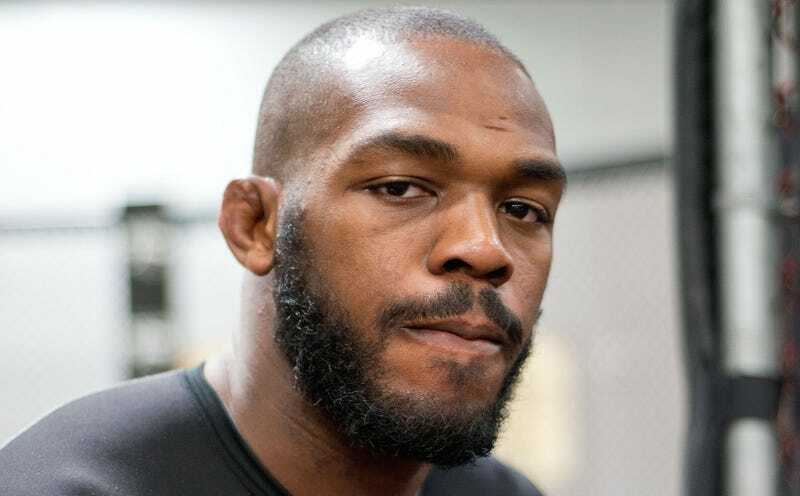 UFC champion Jon Jones, widely regarded as the greatest fighter alive, is wanted for questioning by police in Albuquerque, N.M., having been named a suspect in a hit-and-run accident that sent a pregnant woman in her 20s* to the hospital with minor injuries Sunday morning. Jones’s upcoming light-heavyweight title defense against Anthony Johnson remains scheduled for May 23 as of now. Without getting ahead of the facts here, though, police in Albuquerque having to resort to publicly asking him to call them on the phone to discuss him possibly having fled the scene of an early-morning accident will not do much to quell the concerns raised by his having miraculously conquered a supposed cocaine addiction in 24 hours earlier this year.